Weekend mornings for me always equate to a bit more time spent in the kitchen cooking a leisurely breakfast. Pancakes or fritters of some sort are generally my pick and I enjoy experimenting with different vegetables and flavours. 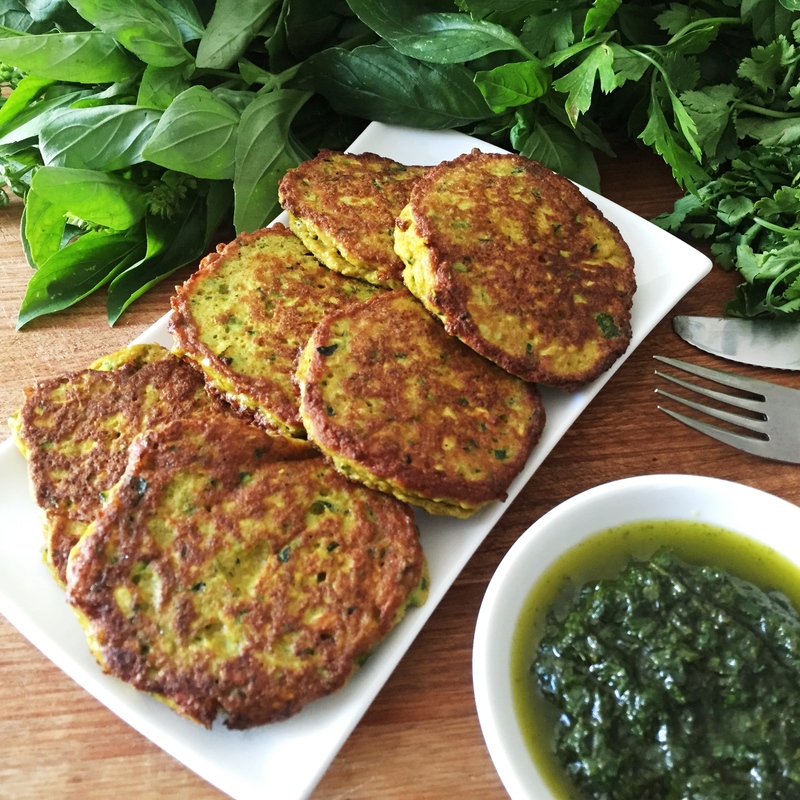 These super tasty zucchini fritters are on high rotation here and perfectly paired with the mixed herb salsa. Enjoy!